Findings from two studies, recently published in the Journal of Clinical Investigation, indicate that high levels of salt alter the stability of the immune system and make it more susceptible to inflammation. The studies, which were led by Dr. David Hafler from Yale University and Dr. Dominik Müller from the Max-Delbruck Center in Germany, also suggest that salt modifies the function of several types of immune cells relevant to multiple sclerosis (MS) pathogenesis. High levels of salt consumption have been associated with cancer, chronic inflammation, and heart disease, with recent evidence also indicating that salt can speed the development of an immune response in an MS mice model. These studies have also indicated that there is a different response to salt depending on the gender and genetic makeup of the mice. 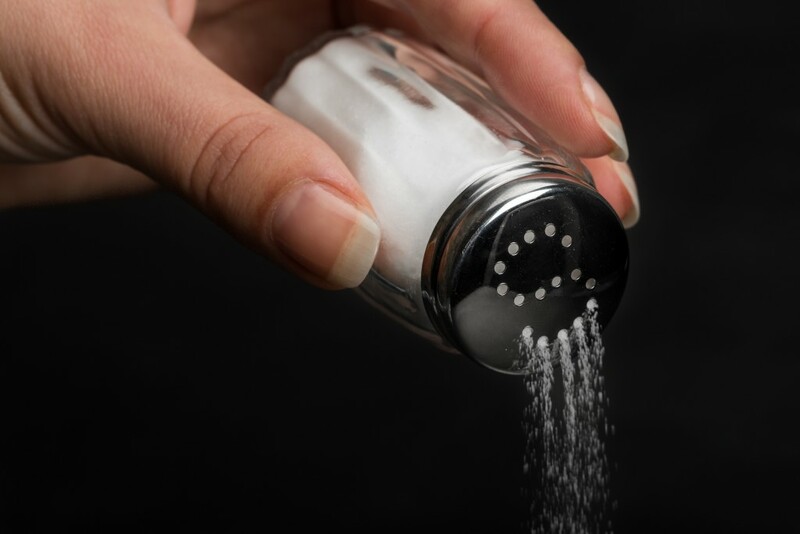 One small study on people found a potential association between the levels of salt and MS relapses; however, this study did not find a causal link between the two. Thus, understanding the impact of high dietary salt as a risk factor for MS or for worsening disease activity is an active area of research. According to a news release, the results of the two new studies suggest that high levels of salt in diets affect two forms of immune cells, causing an increase in inflammation that is harmful to patients with MS.
One study, titled “Sodium chloride inhibits the suppressive function of FOXP3+ regulatory T cells” and led by Dr. Hafler and funded by the National MS Society, examined the effects of high salt on specific regulatory immune T cells known as “Tregs.” Tregs are a subpopulation of T cells that modulate the immune system, maintain tolerance to self-antigens, and abrogate autoimmune disease. These cells generally suppress or downregulate induction and proliferation of effector T cells. In patients with MS, Tregs have been found to be less effective at turning off immune system attacks. Here, the researchers found that high levels of salt in MS mice models block the ability of Tregs to suppress possibly damaging immune cells, and alter Treg cells toward disease activity that causes a rise in inflammation. The other investigation, titled “High salt reduces the activation of IL-4– and IL-13–stimulated macrophages” and led by Dr. Müller, examined immune cells called macrophages, a type of white blood cell that acts in response to an infection and accumulating damaged or dead cells. Results from this research revealed that high levels of salt block the activation of a subset of macrophages, decreasing their ability to suppress inflammatory cells and producing an imbalance in the immune system. The study results also showed that high salt diets delay wound healing in mice. Findings from these two studies provide important evidence that high salt diets could lead to an increase in inflammation and autoimmunity, and to a decrease in the ability of the immune system to constrain dangerous immune cell activity. More research is needed to establish whether high salt diets are a risk factor in the development of MS, and whether a reduction in salt intake would aid in reducing MS disease activity.